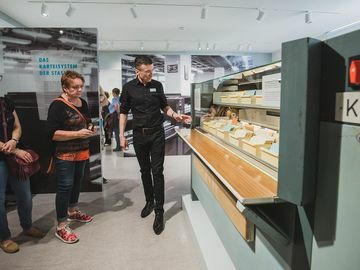 An oversized „walk-in file“, an original index card paternoster, a sculpture of files – the exhibition shows the collection of information violating human rights and the effect the GDR secret police had on people’s lives. Over four floors the exhibition illustrates the Stasi Records Archive‘s current tasks and leads back in time to when the Secret Police created the files. How did information storage work for the Stasi? What meaning do Stasi records have for examining and coming to terms with the East German dictatorship? How are the records kept today, and how are they accessible? The tour includes a visit to the archive with original Stasi-records. The grounds of the former Stasi headquarters, now Campus for Democracy, were once the centre of power for the East German secret police. What role did the archive play in the system of surveillance? Who used to work here, and how is the area used today? The tour combines a visit to the exhibition with an overview of the vast grounds of the former headquarters. For more information please visit www.einblick-ins-geheime.de. 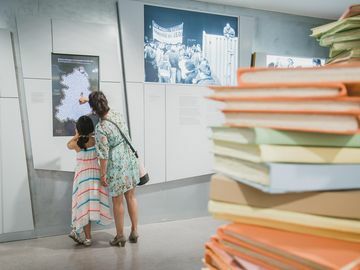 The exhibition shows the collection of information violating human rights. A recreated pile of files is in the centre of one of the exhibition rooms. 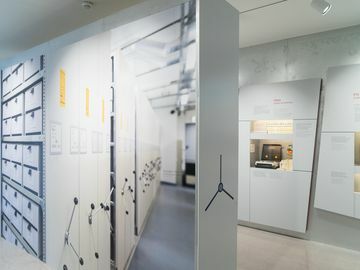 A tour through the exhibition. Visitors can see an original index card paternoster.